Think back to the days of passing notes in class—there was a specific way to fold them. The same goes for "origata," the ancient Japanese art of wrapping gifts in paper, without the use of glue or scissors. Origata later transformed into "origami," the modern word used for making foldable paper art. And it's not just used for wrapping gifts! Handmade envelopes lend a special touch to birthday cards, graduation offerings, and wedding gifts. And you can easily make a letter fold yourself, using only one sheet of size A4 printer paper or lightweight colored cardstock. And just like the intricate folding of class notes, remember, practice makes perfect. *Note: Origami diagrams are easiest to follow when you look ahead one step to see where you're going. Start with the paper in a portrait position, white side (or "wrong side") up, if you have one. Fold the top left corner of the paper down to the right (there will be a small strip revealed at the bottom). Next, fold the top right corner down to the left to meet the point of your first fold. Then, fold the top part of the triangle down to meet the edge of the flap. Lastly, fold the bottom strip up and crease it well to form a clean line along the bottom edge of the paper. Once you have a rectangle with your various folds on one side, now it's time to create the functional part of the envelope. Fold the triangular section in the back up and over the top flap. This will secure the top triangle of the envelope in place. Next, flip the paper over, from left to right, to reveal the other side. Eyeball a square on both the left and right sides of the paper (you can even make small marks with a pencil to show you where to fold it). Fold the left and right squares in toward the middle. There should be a small overlap in the center. Insert one of the overlapping sides into the other one. After your two sides are tucked, evaluate your overlap. Then, adjust the folds on both the left and right sides to accommodate the contents that will go inside. 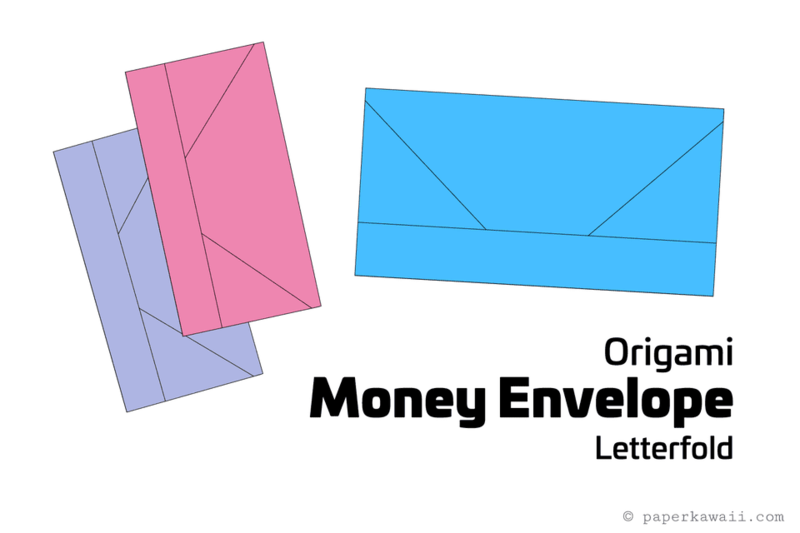 If you fold less paper in from each side, the envelope will be longer. If you fold more, it will become smaller. Once you get the right proportions, flip the envelope over to the other side to reveal the finished product. Embellishing your handmade creation adds personalization to the gift. Use paint pens to write a note on the envelope or decorate it with the recipient's name. Use striped paper for your project to give it a more formal feel. Polka dotted paper works great for a birthday gift or wedding offering. And stickers, cut out construction paper designs, and paper confetti can all be applied to the envelope for a little added flair.